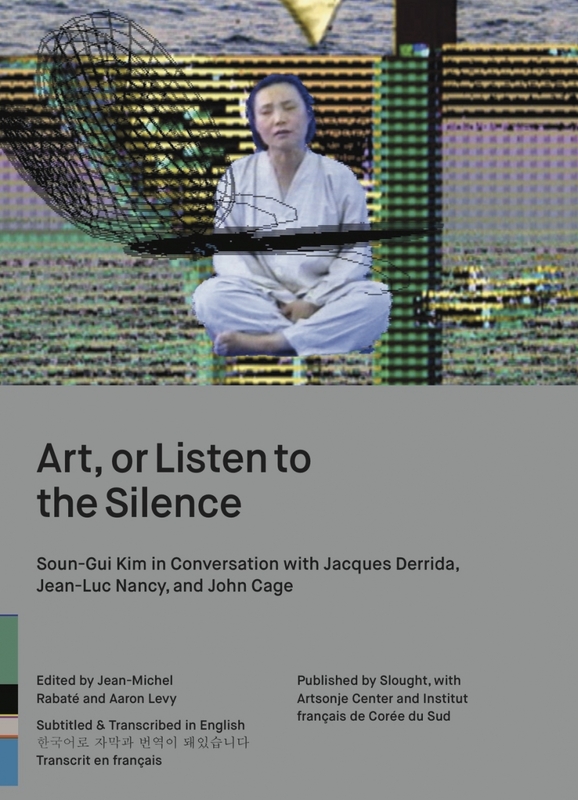 In this publication, edited by Jean-Michel Rabaté and Aaron Levy, Soun-Gui Kim engages her collaborators — philosophers Jacques Derrida and Jean-Luc Nancy (Gwuang-jiu Biennale, 2002) and John Cage (Vieille Charité, Marseille, 1986) — in conversation about contemporary art and the relationship of artists to the globalized art world and market. Born in Pou-Yeo, Korea, Soun-Gui Kim has lived and worked in France since 1971, and exhibits internationally. She approaches the arts through Eastern philosophies, such as that of Tchuang-Tseu, and combines a meditative stance with Western philosophical interrogation. In this way, she poses the question: how does silence and resistance arrive? This trilingual DVD seeks to engage the artist's diverse communities, and has been subtitled and transcribed in French, English and Korean. Published in conjunction with the exhibition Beating The Market at Slought in December 2013, and at Artsonje Center in Seoul, Korea in April 2014.